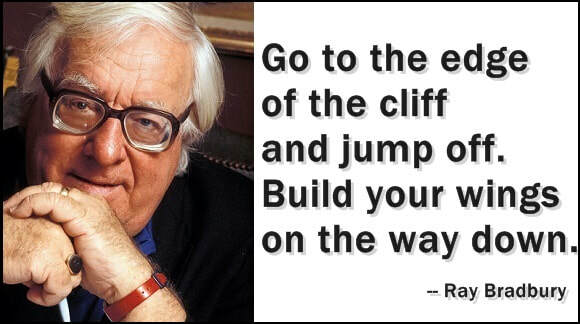 Ray Bradbury, recipient of numerous writing awards, died on June 5, 2012, at the age of 91 after a long illness. He lived in Los Angeles. In a career spanning more than seventy years, Ray Bradbury has inspired generations of readers to dream, think, and create. He is a prolific author of over five hundred published works to include short stories and close to fifty books, as well as numerous poems, essays, operas, plays, teleplays, and screenplays, Bradbury was one of the most celebrated writers of our time. He worked in a variety of genres, including fantasy, science fiction, horror, and mystery fiction. He is widely known for his dystopian novel Fahrenheit 451 (1953) and his science-fiction and horror-story collections. He adapted sixty-five of his stories for television's The Ray Bradbury Theater, and won an Emmy for his teleplay of The Halloween Tree. In 2005, Bradbury published a book of essays titled Bradbury Speaks, in which he wrote: In my later years I have looked in the mirror each day and found a happy person staring back. Occasionally, I wonder why I can be so happy. The answer is that every day of my life I've worked only for myself and for the joy that comes from writing and creating. The image in my mirror is not optimistic, but the result of optimal behavior. Throughout his life, Bradbury liked to recount the story of meeting a carnival magician, Mr. Electrico, in 1932. At the end of his performance Electrico reached out to the twelve-year-old Bradbury, touched the boy with his sword, and commanded, "Live forever!" Bradbury later said, I decided that was the greatest idea I had ever heard. I started writing every day. I never stopped. The New York Times has called Bradbury "the writer most responsible for bringing modern science fiction into the literary mainstream."